Merhba (welcome) to our Malta study tour blog! Reading through the other study tour blogs it seems that everyone had a great experience, but we must say Malta was the best! The day started off very early… too early… meeting at 0200hrs at Mitchell Hall to travel to Gatwick Airport in London. At least there was no traffic on the M1 and we had a nice breakfast at the airport. We arrived in Malta at 1100hrs and went straight to the hotel to check in. The hotel was brilliant! You’ll see more of it as we go along 😀 Our first day day was relaxed – we had some time to ourselves so we went on a harbour tour around the ‘Il-port il-Kbir’ and ‘Il-port ta’ Marsamxett’. After all this hard work we went to chill by the rooftop pool and dinner in St Julians. The day started off with a short presentation about doing business in Malta, presented by our contact Mr Andrew Saliba. Thank you again Andrew! After this we headed to Playmobil Malta – a manufacturing facility responsible for the production of all the Playmobil figures as well as their little accessories. We had a short presentation about the company’s performance, followed by a tour of the facility. It was very interesting to see the moulding, printing and packaging processes done in the Malta plant. Unfortunately we couldn’t take photos on the shop floor… but trust us when we say we enjoyed it. After Playmobile we went for lunch at SmartCity Malta to enjoy the sun, sea breeze and the magnificent Mediterranean views. On Thursday we went to visit Farsons and Alf Mizzi & Sons (Marketing) Group. Farsons Group is engaged in the brewing, production and sale and distribution of branded beers and beverages, the importation, wholesale and retail of food and beverages including wines and spirits. We started off the tour with a short presentation on the company, followed by a tour of their outstanding warehouse and distribution centre, and finally a tour of the brewery where the famous Maltese beer, Cisk, is brewed. After Farsons we went to San Anton Gardens in Balzan for lunch. We had some ‘hobz biz-zejt’, traditional Maltese bread filled with tomato paste, tuna and olive oil. After lunch we went to Alf Mizzi & Sons (Marketing) Group, which operates in the field of sales, distribution and marketing of a wide range of food and allied grocery products primarily to the retail sector (supermarkets, grocers, etc) and also to the foodservice sector. Alf Mizzi & Sons have an extensive multi-temperature warehouse, which was very interesting to see. They also had free WiFi which made a lot of people happy! In the evening we had our group dinner in Paceville, a place where some got too acquainted with 😉 Dinner was amazing, thanks guys! Started off the day with a visit to Malta Freeport. Even though Malta is a small island, it is strategically positioned in the Mediterranean making the Freeport an important crossway especially for transshipment freight with EEE class ships calling at this port. The Malta Freeport boasts of its continued investment in the latest technology, making it a very interesting place to visit. With all the company visits done we went to beautiful Mdina, the old capital city of Malta. We went around enjoying the beautiful architecture and the the scenic views of Malta. In the afternoon half of us went to the airport to come back to Cranfield while the rest stayed in Malta for an extra 5 days resting, partying and seeing the rest of the islands. All in all it was an amazing experience! The companies were very interesting to see and it was all in all a great break after two intense terms. Stronger bonds were formed and life-long friends were surely made! Even for the Maltese guy that was with us (that’s me, Keith) it was an amazing trip. A big thanks to Andrew Saliba for helping organizing this trip, and a special thanks to Hendrick and Mel for making this trip memorable. by Keith Cortis & Giulio De Stefano (and a lot of people passing by in SOM). 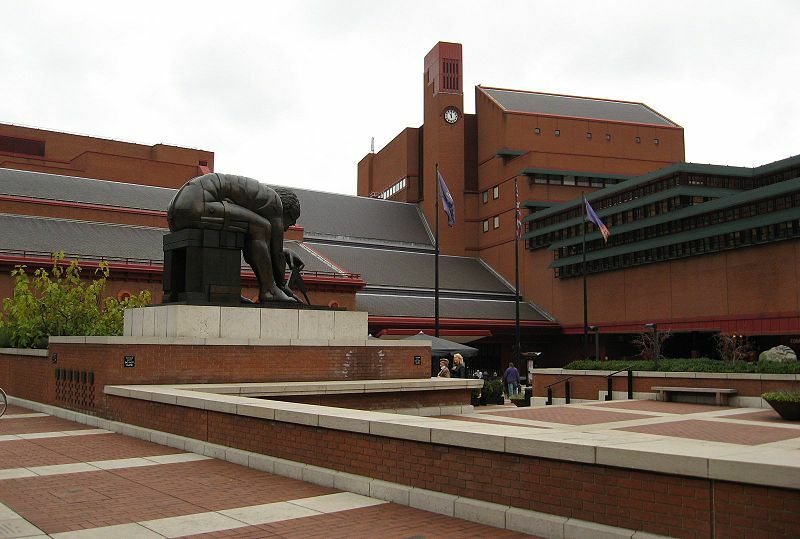 The British Library offers a series of events and workshops to support Business and Management.